As you may know I’ve been co-writing a book called Reclaiming The F Word: The New Feminist Movement (to be published by Zed Books in June 2010), with Kristin Aune. I’ve been thinking about how long this book has taken. This is only my experience, but it has been going on for absolutely ages! I know that others have a much faster time of it. 2001: Set up The F Word website. Sometime in 2003 (I think): Kristin and I discuss writing a book together. Originally going to be a collection of third wave feminist writings, highlighting the new feminists that we saw active in the UK. Proposal was drafted, but didn’t go ahead as we were both too busy. Jan 2007: Handed over The F Word to Jess McCabe. Now had more time to spend on book idea! Mar-April 2007: Draft proposal, speak to various feminists about ideas for book to make sure we’re on the right lines. May 2007: Finish proposal, send to agent. June-July 2007: Write first draft Chapter, send to agent. Sign contract with agent. January-March 2008: Re-write proposal and new draft chapter in response to feedback received. Agent starts sending out again. May 2008: Start working on questionnaire survey and taking it to events. July 2008: Get interest from Zed Books. September 2008: Sign contract with Zed Books. Work out writing plan with Kristin, and off we go. June-September 2009: Take a career break to concentrate better on the book (and also do other stuff too). I’m very lucky to work for an NHS Trust which has great flexible working policies, and that I had enough savings to enable me to support myself during the break. Alongside writing, we also have to do data entry and coding for around 1265 survey responses, and analyse the data (with help from student Rose Holyoak). Meanwhile, Zed are developing the book cover and publicity material for 2010. October 2009: Handed in first draft to Zed. Back to full-time work. November 2009: Collapse and go on holiday. Rest a bit, wait for feedback from Editor and from expert peer reviewers. 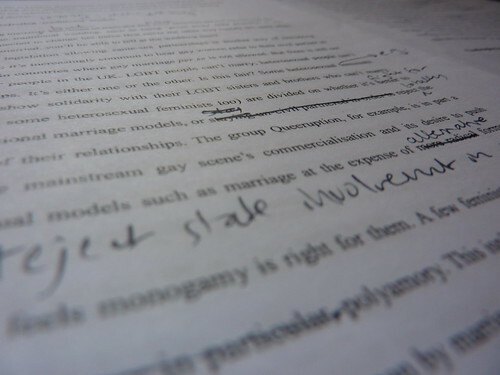 December 2009: Re-writes of manuscript based on all feedback. Having to make lots of cuts as went over the word limit a bit. Meeting with Zed staff to discuss marketing and publicity – a bit overwhelming but they are all lovely and have lots of great ideas. January – May 2010: Attending conferences, events etc, writing articles, developing website which will host some of the survey data. June 2010: Estimated publishing date. July 2010 -> Probably other events, conferences, journal articles etc. If you’re tired reading that, think how we feel – maybe in 2011 I’ll finally give myself a break! Thank you! Yes it does feel like a very long trek indeed!